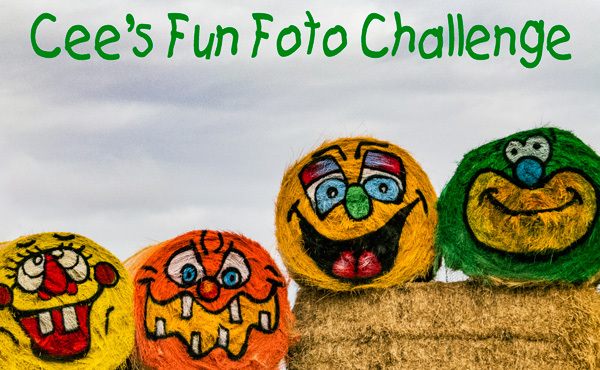 Welcome to the home page of Cee’s Fun Foto Challenge (CFFC). I hope you have a lot of fun. I look forward to seeing your entries for this weekly challenge. I know there are a lot of various challenges for bloggers and I’m hoping that this one you will have some fun with as well as maybe learn a trick or two. One way I learned about photography is by appreciating other people’s work and getting a chance to see through someone else’s eye for a brief moment in time. Challenges are a great way to see other people’s photography and sharpen my own photographic skills at the same time. I am a self-trained and taught photographer. I love pictures, photos of any kind. I feel that the best way to learn photography is to always have a camera with you. One exercise that has always helped me is just sit in one place for 15 minutes. You can be sitting at your computer or you can go to your favorite place on earth. Then take as many photos of things you can see. Change your angle. If your camera has zoom capabilities zoom in and out. See what type of photos appeal to you. Once you find what appeals to you, then practice. The main thing is to always have fun. If taking the perfect photo seems intimidating, stop and give yourself a break. Put your camera away and try again later. The main object is to have FUN. Each week I will have a specific theme. This weekly photo runs from Tuesday through Monday. To give you a heads up on what challenges are coming in the next few week, I’ll try and keep ahead a list topics for you. You can always check back on this page or on the currently week page to see what challenges are coming up. CFFC: Week 5 Photo – music, guitar, instrument, men, coffee, etc. CFFC: Week 3 Photo – purple, colors, wood, garage, vintage car, etc. CFFC: Week 2 Photo – truck, mural, octopus, whale, blue, etc. CFFC: Furniture, Tables, Chairs, Sofa, etc. CFFC: Tracks – trains, rail tracks, etc. Cee’s Fun Foto Challenge: Cars – new, vintage, toy, etc. Love your blog and your photos. Will join your many followers in participating in your challenges. Glad you liked my weightless entry. Thanks for stopping by my blog! I’m glad I found your photo challenge and will participate soon! Pingback: Cee’s Fun Foto Challenge | Third Time Lucky! Pingback: Cee’s Fun Foto – Pets | "On Dragonfly Wings with Buttercup Tea"
This architecture, cities, doors, etc. has me so excited. I think I have images for every upcoming topic except fountains. And I’ve been wanting to make a couple fountain images for awhile. Here is a photo I took in a village in Peru just 2 days ago. I may have to write a story to fit it some day. Thanks for the challenge! Whither do you wander — goosey goosey gander! Happy New Year, Cee and Chris. Pingback: Colour your World #5 – Gluten Free – Lekker food! Lekker life! I hope you do try the challenge. See you later. I found your contest intriguing and decided to join the fun! This is a side view of Leyal, my boyfriend’s beautiful horse! Hi there, Cee …. the link for this week subject not to be found. Okay … then I will hurry over. Great subject … great gallery.!!!!!! Pingback: My Weekly Challenge – Y is for YELLOW! | Ouch!! My back hurts!! Hi Cee! I’m glad you visited my site because I feel like I’ve found a treasure in your blog! I enjoyed reading your about page – you wrote a lot of things that resonated. I’ve been blogging for about a week now and I’m really loving it! The Pull up a Seat photo challenge was my first. It was fun to put my own spin on it and to see others’ creativity and ways of thinking. So I’m excited to join in on the challenges you offer. And also thank you for taking the time to compile a list of other challenges too! Thank you! Welcome to the wonderful world of blogging. I hoping you find it as fun as I do. 😀 Thanks for following me.